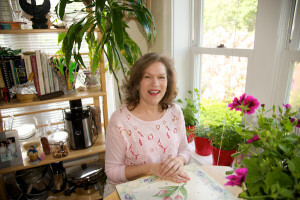 Donna Goodman has been innovating participatory, values-based water and environmental education through the involvement and empowerment of children, adolescents, their families and teachers for over 25 years. Donna served as Programme Advisor, Climate Change and Environmental Education for UNICEF and as a consultant to different organizations within the United Nations system, including UN DPI, UNEP, United Nations Framework Convention on Climate Change, the UN Permanent Forum on Indigenous Issues and World Health Organization. Before joining the United Nations, she was named as one of the top 100 women in global franchising for her work as co-founder of a company called: Little Scientists – A Hands-On Approach to teach science to young people. She is author of a number of United Nations and UNICEF publications, including Every Body Counts, Every Drop Matters: United Nations Classroom Resource Guide on Water and was coauthor of five titles geared to hands-on science education which were published by McGraw-Hill in 1999-2000. Donna is currently based in New York. Ann Smith is co-director of Circle Connections, Inc and Chair of International Connections for the Sophia Women’s World Conference, in Sofia, Bulgaria, 2010. She serves locally and globally as a community and global organizer, mentor, coach, facilitator, educator, consultant, professional speaker, director of worldwide transformational leadership programs, and author. 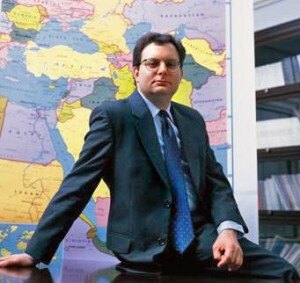 Dr. Howard Schiffman is an international lawyer with diverse interests in public international law, the law of the sea, marine conservation law and policy and dispute settlement. From 2010-2013 Dr. Schiffman served as Visiting Associate Professor of Environmental Conservation Education at New York University where he taught Contemporary Environmental Debates, International Environmental Governance and supervised the Environmental Conservation Education internship course where several of his students interned with ECI. Dr. Schiffman has published widely on global conservation and environmental dispute settlement including two books (Marine Conservation Agreements, Martinus Nijhoff-Brill (2008) and Green Issues and Debates: An A-to-Z Guide (ed. ), Sage (2011)) as well as numerous scholarly articles. Howard is committed to environmental education as a tool to address serious environmental problems. Howard earned a B.A. from Boston University, a J.D. from Suffolk University Law School in Boston, a LL.M. (Master of Laws) in International and Comparative Law from George Washington University Law School and a Ph.D. from the Cardiff University Law School (Wales, UK).